“As harsh as nature is for animals, cruelty comes only from human hands. We are the creature of conscience, aware of the wrongs we do and fully capable of making things right. Our best instincts will always tend in that direction, because there is a bond with animals that’s built into every one of us. That bond of kinship and fellow-feeling has been with us through the entire arc of human experience—from our first bare-footed steps on the planet through the era of the domestication of animals and into the modern age. For all that sets humanity apart, animals remain “our companions in Creation,” to borrow a phrase from Pope Benedict XVI, bound up with us in the story of life on earth. Every act of callousness toward an animal is a betrayal of that bond. In every act of kindness we keep faith with the bond. 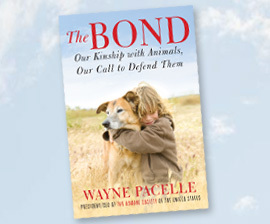 And broadly speaking, the whole mission of the animal welfare cause is to repair the bond—for their sake and for our own. I’ve watched some horrific videos in the past of slaughterhouses, but I cannot watch this one. But if you can stomach it, watch it because it will change the way you view corporate farming and perhaps even change you. At this particular slaughterhouse in Vermont, USDA inspector apparrently did not enforce the required humane laws for the treatment of these calves. These animals were treated with the most unspeakable abuse and cruelty. Treatment of infant calves are merciless. This story was exposed on CNN also. 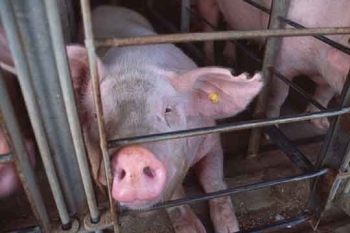 You can do two things: 1) Donate to the HSUS here to help them spread the word and enforce stricter federal policies on factory farming, or write to Ask USDA Secretary Tom Vilsack to act immediately to prevent this cruelty from happening at other slaughter plants. In the old days, fur was a mean for human survival in the wild. Humans killed animals for food, fur to protect themselves from harsh climates, and bones for tools. Today, carnivorism has not changed, which can be argued as ‘natural’ since this has been so engrained into our upbringing and subconscious appetite. For vegans and vegetarians, we applaud you for shedding meat off their list. It’s not only a humane thing to do, but it is also healthy to consume less red meat. But if you insist on eating meat, at least going the organic route since it is more humane. As for fur, it is simply inexcusable to continue this barbaric practice in modern society. There are, of course, still tribes throughout the world where people still depend on fur for survival. But 95% of society today will buy or wear fur for glamour, fashion, status, and luxurious living. When one thinks even briefly about how animals suffer for this purpose, he or she will cringe for a moment. It used to be bears, tigers, foxes, minks and rabbits, and now some countries have added dogs and cats, like in China. This industry, if not breeding animals to slaughter, will capture homeless animals, or even abduct neighborhood companions, to torture, skin alive, beaten, even boiled animals for their fur and meat. Human perpetrators are not simply farm workers, they have been trained to become unfeeling, sadistic, callous, and mean people who don’t see animals as living beings. They laugh, smoke cigarettes and find satisfaction WHILE they are bludgeoning the animals to death. Much like in our own country today, farm animals like cows, pigs, horses, goats are being treated at factory farms in ways one can’t even imagine. If we eat the meat and wear the fur from animals that suffer that much, what does that make us? Some people would say, “well, this is the way we are, it’s none of our business, and it’s stupid to put so much thought into inferior beings- what about people?”, well, that’s like saying we should not end genocide, not help starving children and societies in the 3rd world, not give assistance to the hungry and diseased in Africa and other improverish nations. If you don’t think about it, it is not your concern and you can go on living your happy lives. This way of thinking is one-sided, irresponsible and selfish. It is an excruciating fact to know this, and we must educate ourselves about this and spread the word. This winter, when you buy coats with “faux fur trims”, be sure to carefully judge for yourself if it is really faux. It could be racoon, or dog and cat fur. Especially if the garment is made in China – beware. Thanks for reading. And don’t go accusing me to be some Peta-loving extremist. I am not in the slightest. I’m just any regular person in this world trying to make a difference, and animal welfare happen to be one of them. In Massachusetts, Question 3 ballot was also passed, which will ban greyhound racing in that state and completely abolished by 2010. Both victories give us hope that other states may follow in the years to come. Thank goodness for people who still cares about animals in these tough times. There are so many critical and pressing issues in America we need to prioritize for people however it’s amazing that there is a huge voice for animals in the world. Together we can make the world a better place for people AND animals…. I’m going to post this again – if you live in California, please vote YES to Proposition 2 on Nov 4. Prop 2 is a bill if passed require the farming industry to handle farm animals humanely, unlike now. This is it — the fate of 20 million farm animals rests on what we do together in the next seven days. 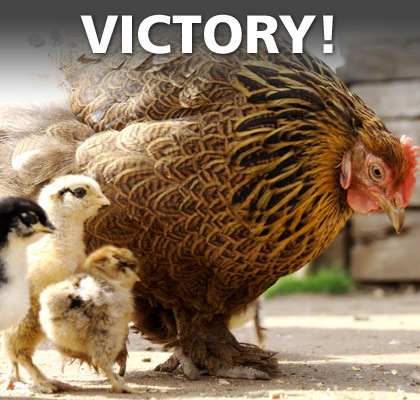 If California voters pass Prop 2 next Tuesday, it will be the greatest victory for farm animals in U.S. history. Peta’s investigation in a pig farm resulted in 22 criminal charges against Hormel in the state of Iowa. Pigs are severely abused and suffer from major neglect in ways most unimaginable. Pigs, as other livestock animals in America’s meat farms suffer immense cruelty from being sprayed down with paint, electrocution, neutered without anesthesia to being beaten and kicked like worthless objects. Pigs in particular are extremely intelligent and have been compared to human’s age six—they feel pain, experience love and loss. If you are a meat eater, please go organic, where they roam free and are treated with respect and compassion. Read the full article here. 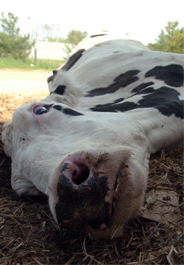 A video was released the evening of September 16, 2008 that showed images from a hog farm in Iowa. It is important to note that the farm in the video is not a Hormel Foods’ farm and the people are not Hormel Foods’ employees.We find the images in this video appalling and they are inconsistent with our standards and industry standards for animal handling. The abuse on the video depicted practices that are completely unacceptable. terminated employees, truckers and contracts with producers when animal welfare issues have arisen. Wayne Parcell from the Humane Society of the U.S. will be on The Ellen DeGeneres show September 26th, (U.S.) to spread the word about Proposition 2 – an anti-cruelty measure that will end inhumane confinement of 20 million farm animals that suffer in tiny cages and crates their entire lives. You can only vote if you live in California, however, if you live elsewhere, you can still learn about this and get the word out to friends and family. See here for airtime in your area. Ellen will feature this animation on the show as well. Recently there has been a lot of news on factory farming cruelty exposed by the HSUS in one of the largest recall on cattle meat in recently history. The USDA today announced a complete ban on the slaughter of downed cattle for human consumption. In the past, there had been no real inspection practices in slaughter trails and auctions. Sick and crippled cows, too frail to walk to the slaughter line were electrocuted, kicked, forklifted, and forcefully dragged to be slaughtered—just plain needless torment for the cows. This is not only extremely inhumane but also poses major health risks for people as sick animals subject us to diseases such as ecoli, mad cow diseases. This is a major victory – now that the loophole is closed we will only hope that this will be carried out. The HSUS and other animal welfare organizations will push for stronger federal legislation to ensure humane euthanasia of downers and protect farm animals from abuse. Read the full article here. Just because we eat them, doesn’t mean they should suffer and die in such an awful way. We are what we eat. The better we treat the animals, the less chance we will subject ourselves to health risks. Better yet, go organic or become vegetarian. While other countries employ barbaric treatment of animals for human consumption, the United States does its fair share of it—veal. All for their deliciously tenderized pale white meat, veal is wildly popular in Europe and the U.S. but most people are not aware of the extreme cruelty in the production of it. And for others that do know a little, they perhaps don’t know the whole story. So here it is. For many years Europe produced veal, but not in the way the U.S. do today. 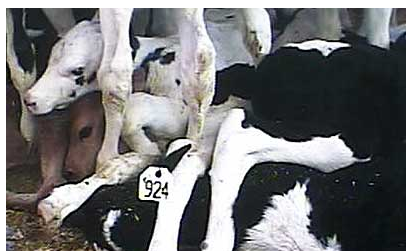 Back then, cow calves were fed mother’s milk then sent to slaughter about 2 weeks after birth. The U.S. and its notorious farming corporations do it differently. You can read about this in detail in this great article by Dave Kopel, the director of the Independence Institute. But in short, we use larger calves in greater size and weight (yielding more meat and profit), and basically cram the animals in crates so small so that calves can yield no physical movement, hence producing no muscle tone in their bodies resulting in tender flesh. 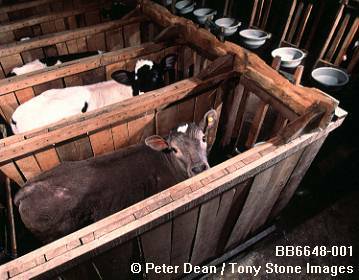 They gestate in these crates for weeks, being fed atrocious meals that combined milk substitutes, antibiotics, water, and mold inhibitors. The cannot turn around, can barely move side by side, and many end up losing muscles in their legs and ending up hunched over them, never able to stand back up again. They live in atrophy and eventually end up in slaughter, often picked up by cranes or dragged across the pavement as they could not walk, all so that the food industry can charge hefty prices in fancy restaurants. I’ve had veal once, and it was delicious. But knowing it ended on my plate this way, and that there are so many other food options out there, I can leave it off my diet. I eat meat I admit, but with a guilty conscience, however I would simply not add another cruelty-meat to my list. I’m trying very hard too to swear off cows in general. Two summers ago on Mother’s Day, I worked myself up to stand in Union Square Park in NYC and handed out homemade flyers on Veal Facts, urging the public to learn about this and spreading the word. It’s not a heroic thing to do, but it’s not something I do usually. It felt great to do something about it. I got a lot of positive responses, and a few negative ones too. However it comes down to having good sense to choose between what’s right and wrong. I have a lot of issues with cruel farming practices in general, but veal? That’s the worst. Learn how you can help here. I’ve been on vacation so running a bit behind on posts. While on vacation I thought about my top animal issues that I’d like to write about. Stay tuned for these subjects: Yellowstone Wolves, Whaling, Fur, Veal Factories, Circus Animals, Dogs and Cats as food in Asia, and more…. please write me if there are any issues you feel strongly about and I will do my best to highlight! Thanks for reading!